You’re on the hunt for the right gear to suit the situation and don’t have the time to spend trawling the internet. Fear not T3 is here. This guide will offer you the best of the best, the cream of the crop, so you know what to buy for what you need - no matter what it is. This week it’s all about bringing you the best kit to get you off to the land of nod for the best possible night’s sleep. That doesn’t just mean a new mattress that’ll leave your back feeling like you were being massaged all night. Sleep tracking tech is better than ever and it wants to help you get the best possible night’s sleep. Read on to find your perfect night’s sleep. Nobody likes waking up in the morning, especially to a piercingly loud alarm clock which makes us simply want to pull the covers over our heads and go back to sleep. However, if you find you particularly struggle with getting up in the mornings during the cold and dark winters, or, on the contrary, have trouble falling asleep at night, then a wake up light or “sunrise lamp” is a great way to regulate your body clock and help you wake up naturally in the mornings ready to tackle the day. Here are some statistics on sleep for you: according to the UK Sleep Council, nearly half of us are getting just six hours sleep or less a night, and four out of five people think they aren't getting enough. That's alarming considering how important sleep is to our overall health. This list of best sleep trackers will help you measure sleep, the first step on your path to making it better. It is said that if you’re a side sleeper, then a firm pillow is the best option to support your head and spine, but if you sleep on your front then you’ll want a much softer pillow so you don’t wake up with a stiff neck. Back sleepers can opt for something in between, but ultimately, you’re going to choose what you think is comfortable. Looking after your ears should be considered equally as important as looking after your eyes. Yet, we probably make more trips to the opticians that we ever do to get our ear health checked out! Fortunately, ear plugs are not only easy to get hold of, but they don't require personalising in any way, so it's pretty easy to buy a pair that will fit your ears without too much fuss. The poor, overlooked bedside lamp. Among the newly moved, it’s so often the thing you grab in a panic from the last bit of IKEA without really thinking about it, or have to huffily go back for after weeks of lamp-less inconvenience — and undeservedly so. If you’re staying up late to read, work, or wait impatiently for time zones to align so you can stream the latest episode of your favourite show (we’re not judging), a decent bedside lamp is a good friend to have. If it’s the last thing you’re going to touch at night (again, no judgment) then we say make it a good ‘un. Having the best mattress matters. Without a decent night’s sleep we’re unfocused and irritable, find it hard to get things done and liable to all kinds of medical problems — and bad or unsuitable mattresses can be your enemy. If your mattress is too hard and it’ll make you toss and turn all night; too soft and you’ll get aches in hips, shoulders and spine, and maybe pins and needles or numbness too. So what's the best mattress to buy? 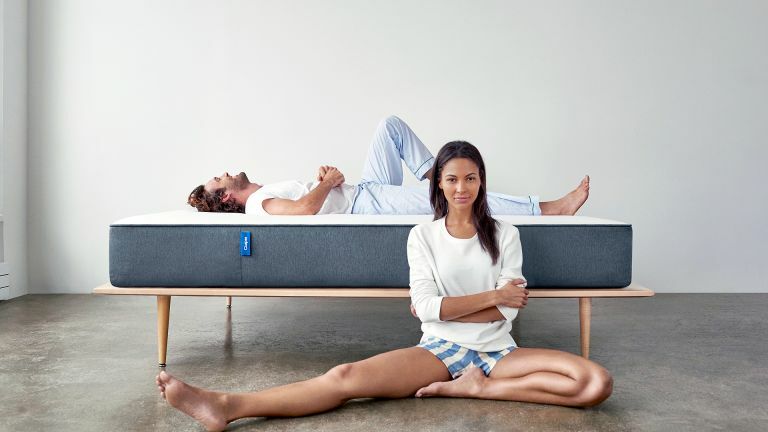 Modern companies like Simba are creating mattresses from a scientific stance meaning you get all the advantages of a modern mattress, like delivery in a box and smart personalised adaption, with classic comfort – for less. If you’ve ever been too hot in the summer or too cold in the winter, it’s probably an indication that you’re using the wrong duvet. But don't feel down. We've scoured the shelves of duvet meister John Lewis to find the best duck- and goose-assisted sleeping aids.